Join us for a weekend of performances, exclusive activities and festivities. 10.00 am – Visit and lunch at Charleston, the Bloomsbury Home of Arts and Ideas. Includes a private tour of the House and Galleries, with Director and CEO Nathaniel Hepburn and Head of Collections, Research and Exhibitions Dr Darren Clark. On the Friday and Saturday, patrons will return to Horsted Place from day trips to change prior to the evening performances. Changing facilities are also available at Glyndebourne. 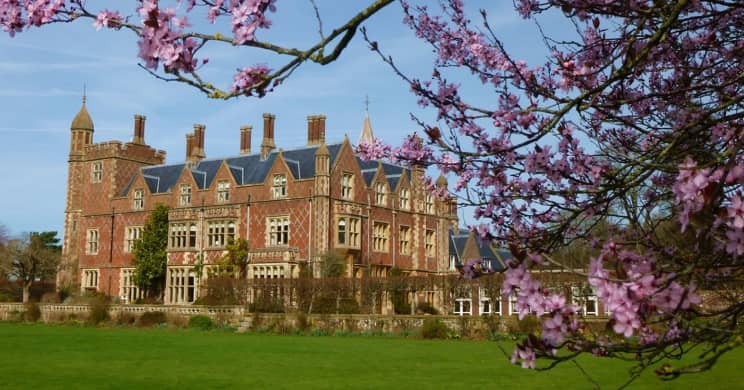 Horsted Place (Little Horsted, Uckfield, East Sussex, TN22 5TS) is a charming Victorian Country House combining warm, personal service and fine dining in traditional surroundings. Secluded yet easily found, it is located in the heart of the East Sussex countryside within an easy drive of the historic county town of Lewes, and 12 minutes from Glyndebourne. A selection of rooms have been put on hold for single and double occupancy, all with en suite bathrooms and breakfast included. More about Horsted Place: Horsted Place is one of the finest examples of Gothic revivalist architecture to be found in Britain today. Built by George Myers in 1850 for Francis Barchard, much of the detail was designed by Augustus Pugin, widely regarded as England’s most influential early Victorian Architect. In 1965 the house was sold to Lord and Lady Rupert Nevill who undertook a complete refurbishment of the property and commissioned the leading 20th Century landscape architect, Sir Geoffrey Jellicoe, to redesign the grounds and gardens. Various mature trees and shrubs were moved from the Nevills’ previous residence, Uckfield House, including a myrtle tree grown from a sprig taken from Queen Victoria’s wedding bouquet. As a long standing friend of the Duke of Edinburgh, Lord Rupert Nevill regularly entertained HM The Queen and HRH Prince Philip at Horsted Place. Today, guests can re-trace Her Majesty’s footsteps by following the Queen’s Walk – an enchanting path through the grounds to Little Horsted’s Norman church where the royal couple worshipped whilst staying with the Nevills. Throughout the Patrons Trip, transportation from and to scheduled activities (departure and return at Horsted Place) will be provided and included. Additional transportation during your stay – including car service – can be arranged at patrons’ expense. Guests are responsible for booking transportation to arrive at Horsted Place on June 6, and for leaving on June 8. Glyndebourne will be happy to provide suggestions and help in providing details including train schedules and getting to Glyndebourne by car..
Glyndebourne is recognised internationally as one of the great opera houses; a reputation that stems from a passion for artistic excellence encapsulated in founder John Christie’s insistence on doing ‘not the best we can do but the best that can be done anywhere’. John and his opera singer wife, Audrey Mildmay, founded the Glyndebourne Festival in 1934. In 1968 the Glyndebourne Tour was established to bring opera to new audiences across the country and create opportunities for talented young singers. Madama Butterfly, Festival 2018. Photo: Robbie Jack. Today Glyndebourne is a twelve-month operation. The Festival runs from May to August with a program of six operas in a 1,200-seat opera house. The annual Tour takes place from October to December. 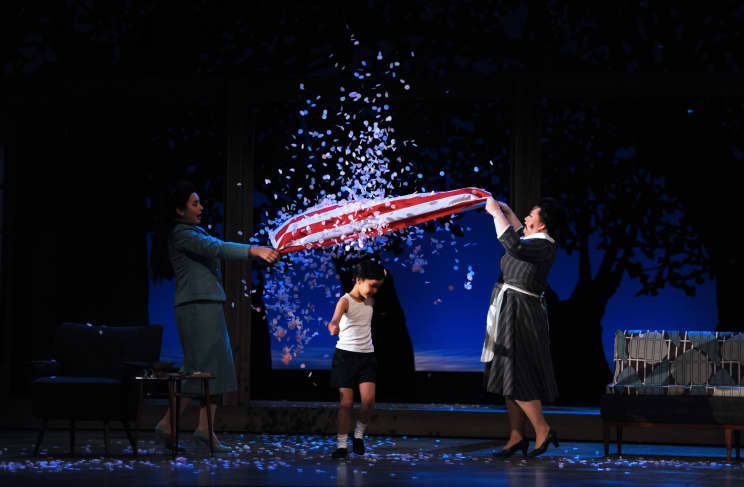 The inaugural biennial international opera singing competition took place in March 2018 and a widely respected education program is active year-round staging new work and delivering projects to enhance the understanding and enjoyment of opera. Together the Festival and Tour present 120 performances annually to an audience of 150,000 with many more people experiencing Glyndebourne’s work through its yearly program of cinema screenings and free online streaming. Glyndebourne has pioneered specialist recordings to share its work with a global audience through these channels and as part of its mission to reach new audiences, also offers reduced-price tickets to under 30s. Since its founding, Glyndebourne has remained financially independent and, while receiving valued Arts Council support for the Tour and education work, the Festival receives no public subsidy. As a registered charity, our work is funded by box office income, our members and supporters.